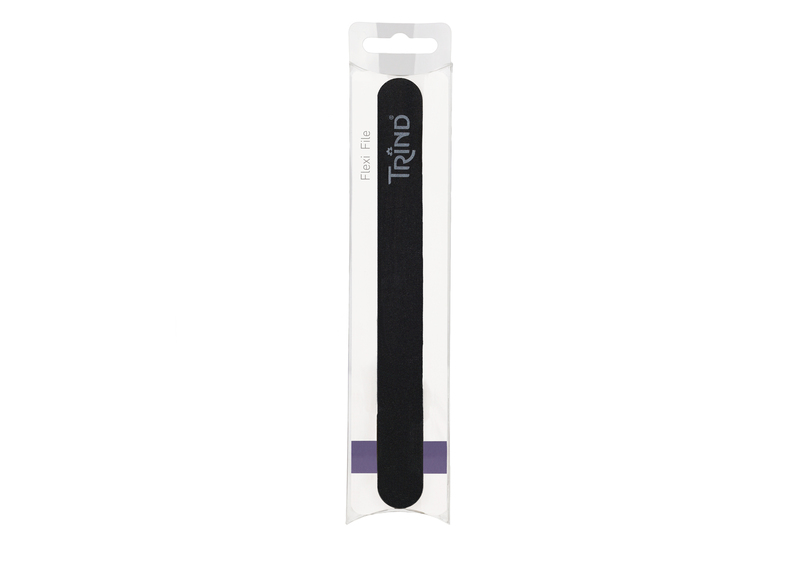 Give your nails the perfect length and shape with the TRIND Flexi File. Use the fine side on your fingernails and the coarse side on your toenails. Place the TRIND Flexi File on the edge of the nail and move it with light pressure from the outside to the centre of the nail tip (1 direction only). Filing your nails instead of cutting them seals the nail, preventing dirt from entering and leaves your nails smooth and healthy.